This post is an offshoot about comments made on the thread "Musical Claims to Fame" started by Barney. Reference was made by our John Francis regarding the distinguished soprano, Irmgard Seefried [1919-1988]. For me, one of the greatest German sopranos and I collected her recordings religiously. Barney refers to the DGG Eloquence label, of which there were 10 recordings [480 7227 thru 480 7237] issued individually, not put in a boxed set as you think would be the norm for this many CDs. Australia's Eloquence label is one of the best things to ever happen to DGG's catalogue. When I discovered that these were issued, my heart skipped a beat. I acquired all 10 discs from an Australian company (Buywell), whose service was impeccable and could hardly wait to receive the lot. Seefried, wife of violinist/conductor Wolfgang Schneiderhan, recorded prolifically for Columbia/Sony, Decca, DGG, EMI, a one album on RCA Victor. Most of her best-ever recordings were made for DGG, and Orfeo (many). She also appears on many lower-priced recordings (Archipel, Andromeda, BBC, ICA, and many others. Only our good friend John F has mentioned something about Irmgard Seefried. Surely among our vocal collectors there must be something they like or enjoy about this great singer. Most of Seefried's studio recordings of operas were not very satisfactory, for one reason or another. Her Susanna in "Marriage of Figaro," one of her best roles, is preserved only in a 1950 recording which Herbert von Karajan conducts at breakneck speed, and which omits all the recitatives. Also, Americans hardly knew her, as she appeared here only in five performances of "Figaro" in 1953. I'd say that only the EMI "Ariadne auf Naxos," also conducted (much better) by Karajan, is a first choice for the opera; the others, including those for DG, are handicapped by shortcomings in the casting or conducting. She was also outstanding in Lieder, but I get the impression that art songs aren't so well known or popular with CMG folks. Her monaural LP of the women's songs in Wolf's "Italian Songbook" with Erik Werba (published on American Decca) is near perfect, beautifully sung and full of character. It's much the same with Sena Jurinac, Seefried's colleague in Vienna. 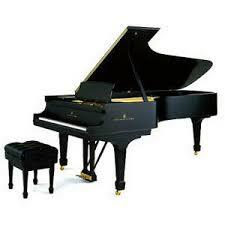 In the US she sang only in "Madama Butterfly" at the San Francisco Opera. You had to go to Europe to see her. Fortunately I did - lucky me. Thanks to her success at the Glyndebourne Festival she made quite a few recordings for EMI, mainly Mozart and Strauss, and if any CMG members know about her, it's probably through those recordings. The DVD pictured below was issued in 2010 and is still available. 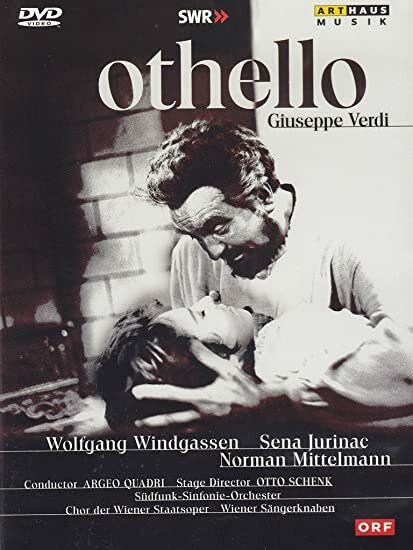 It's a 1965 performance of Otello in German, featuring Jurunac and Wolfgang Windgassen in very good mono sound for the period. Thanks! I saw Windgassen as Otello in Stuttgart and wasn't convinced, very musical but not very exciting. Jurinac as Desdemona (Vienna, Cluytens) is maybe the most moving I've seen. To have them both in the one telecast is great. Argeo Quadri was the State Opera's Italian conductor of all trades in those days, he took over "Falstaff" after Bernstein, and I thought he was quite good. I think I love Jurinac's voice even more than Seefried's. She is similar to Rita Streich, another pure-toned post-war German soprano whom I know Lance and JohnF and Brian, among others, will be very familiar with. Jurinac and Seefried combined in some Mozart opera, if I recall aright. I listen to a lot of lieder, but sometimes there is something in Seefried's tone here that sets me on edge. Hard to explain how. Other times she sends me into raptures. OH ... Rita Streich! My heart just flipped. Love her to death! The one time I was just a little disappointed in Streich was a lieder recital that included Schubert songs ... perhaps just a tad out of her element, but the voice ... simply stunning. I haven't heard too much about Seefried that I did not enjoy as she was a consummate artist as was her husband, Wolfgang Schneiderhan. DGG issued an excellent Streich collection on eight CDs [474 738, year 2004] that I believe has been dropped from the DGG catalogue. For all that, I would have liked to have seen Rita Streich make many more recordings than she did, the largest portion of which appeared on DGG, some for EMI. While we are skipping around sopranos who performed in Germany, the successor to Streich for me was Gundula Janowitz, who could be extraordinarily ethereal. Yes, a wonderful singer. No doubt you have the July 2017 released "Edition" for Janowitz [DGG, 479 7348, 14 CDs]. Most of her records were for DGG, a few for EMI, and a minimum for British Decca, RCA and Sony.